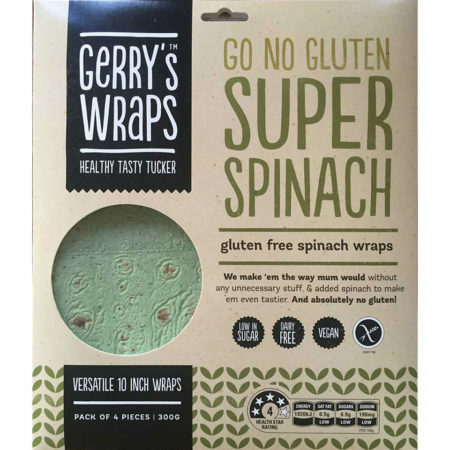 Our large spinach flour tortillas are part of Gerry’s Plain Pack range of non-labelled budget packs. They are also available to buy in bulk (see details below). or as a substitute for pastry, bread and pasta. 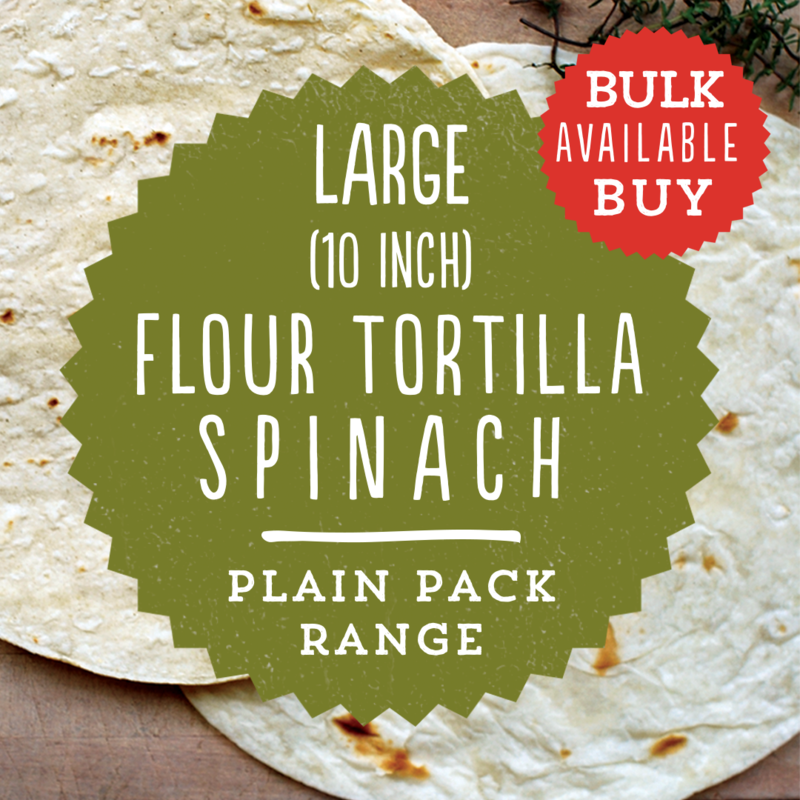 This pack of large spinach flour tortillas comes in unbranded, budget packaging as part of Gerry’s Plain Pack range. 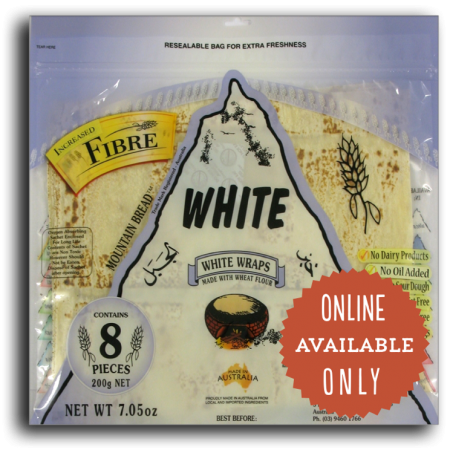 These traditional spinach flour tortillas have a lovely mild spinach flavour and smell great, with a naturally scorched, baked-wheat aroma. For best results, please flex all packets back and forth to loosen tortilla before opening and heat to soften before use. Microwave (1100W) on high for 20 seconds per wrap. Cover and leave to cool for 1 minute then fill and roll with your favourite fillings. Can be reheated if required. After heating keep warm by stacking together and wrapping in a clean tea towel and covered dish until ready to wrap. 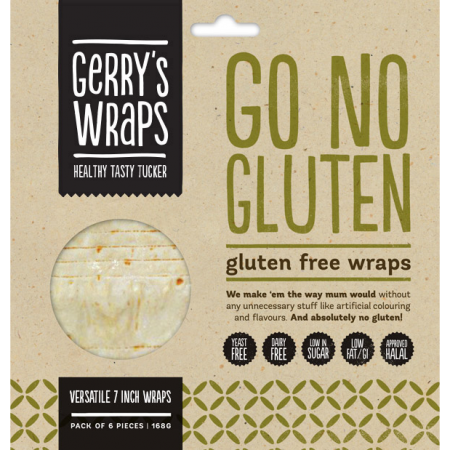 Wrap filled wraps in Glad Wrap to maintain freshness for those daily lunches. These spinach flour tortillas have a very long shelf life of 270 days (9 months). 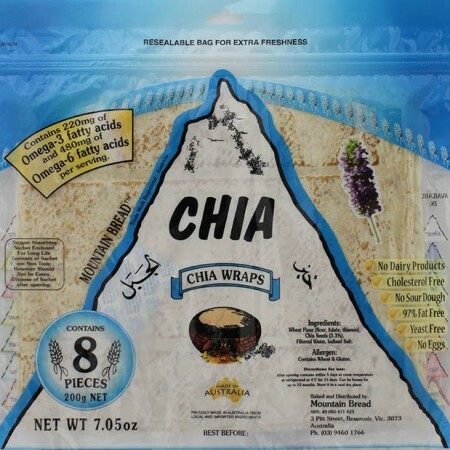 Once opened, seal remaining items and store refrigerated. Consume within 3 days. May be frozen for up to 6 months. 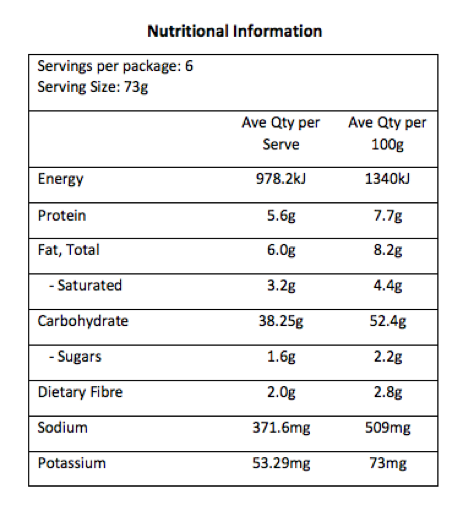 Wheat Flour (Folic Acid, Thiamin), Filtered Water, Vegetable Oils (Contains Antioxidant 307b From Soy), Humectant (422), Sugar, Spinach (1%), Iodised Sea Salt, Raising Agents (450, 500), Emulsifier (471), Acidity Regulator (297, 200), Preservative (282, 202), Thickener (412), Colour (102, 133), Enzyme. 438gm. 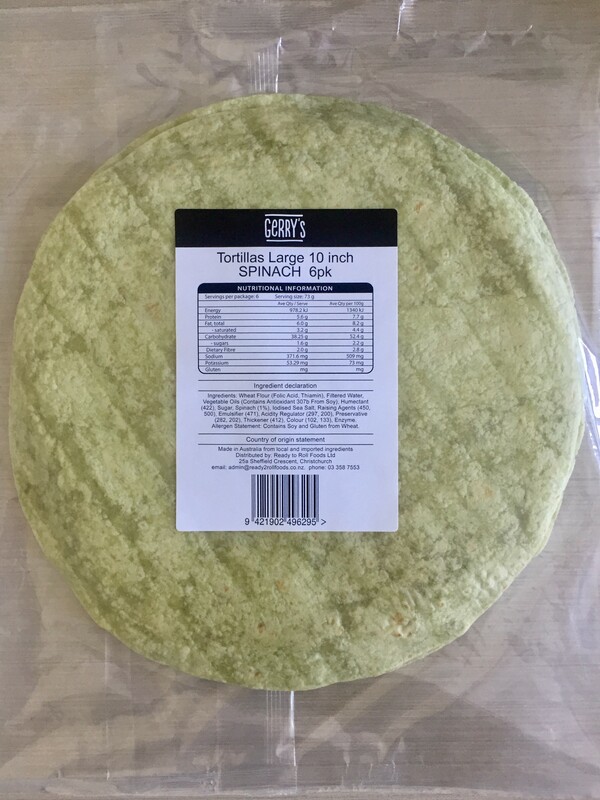 Pack of 6 spinach flour tortillas supplied in clear laminate packs. ‘Large’ round 10 inch (25cm) wraps. Comes in cartons of 24 packs. Please email us if you would like to buy these in bulk.